Wow. It had been oh so very long since I was on the island. On The Island was one of the books I read before I started blogging and I loved it! I loved the experience it gave me, the feelings it stirred within me, the way it totally gripped me for 347 pages of emotional and physical turmoil. This novella is Owen’s story. He’s the one that built the shack… the person there before Anna and TJ. His story is filled with longing, tragedy, heartbreak and love. The story begins with Owen visiting TJ and Anna. It was so good to see them again, to know they were happy as a family. What they went through was so harrowing that my heart fell full to know they got their happily ever after. Soon enough, however, we realize that Owen has a story to tell… a story he is nervous about revealing. Again, this is Owen’s story. He tells Anna and TJ about what happened to him on the island… what led him there… what transpired there… and takes them up to the present tense. 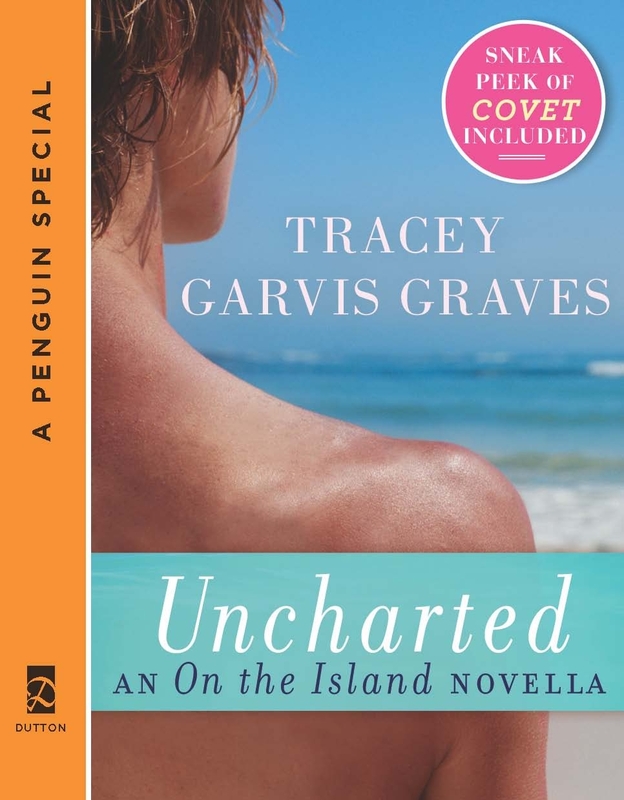 Tracey Garvis Graves’ ability to tell this story vividly is amazing, I really felt like I was there once more. I imagined the same island clearly, felt it, was surrounded by it all over again. Owen’s story is gripping and sad. The time he spent there was peaceful, forcing him to look inwards and be happy with himself… with the quiet of the island. Everything changes, however, when he meets Calia and her brother, James. Without revealing too much, we learn about everything that happened to him while he was there and it answers the questions we had when we read On The Island. Fans of the first book will be pleased to see the gaps sealed, finally understanding how everything befell prior to Anna and TJ’s arrival. The story unfolds slowly, but distinctly, and it took me on this introspective and intimate journey that I really enjoyed. I plowed through this book quickly, but I think you will really love it if you’re a fan of On The Island… a book everyone should read!